A new Wellness Village – Kotas Nordic Spirit – has opened in an unspoilt valley within The French Ardennes, close to the village of Ferme de Flamanville. 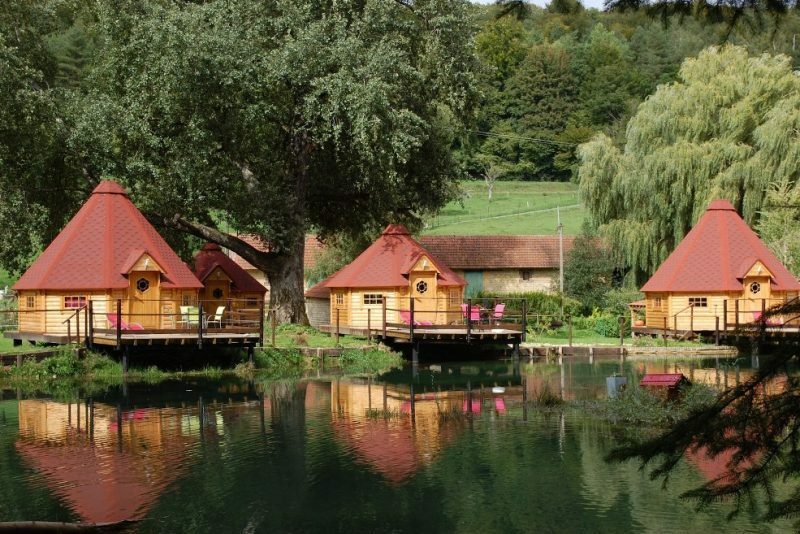 Featuring four comfortable and well-appointed log cabins of Nordic origin, the village is located next to a small lake and will now host wellness breaks for anyone visiting this secluded part of northern France. Each one of the four Finnish kotas also has its own pontoon by the lake for fishing and relaxation. Llama, donkeys and other animals add to the charm of the place. While the wellness area itself includes a spa and a traditional Finnish sauna, the kota grills offer the chance to relax further with an evening barbecue. The village is also well placed for anyone wanting to explore The French Ardennes, with Sedan and its castle, and the region’s capital – Charleville-Mezières – both within easy reach. The village is likely to appeal most strongly to those in search of a restful break, enjoying the great outdoors of The French Ardennes. Open all year, prices start from €95 for 2 people per night, including breakfast. Access to the kota grill, the spa and sauna, and a small entertainment room are also included in the price. For further details about the Wellness Village, visit http://www.kotas-espritnordique.fr/en/. And for all other information about The French Ardennes, visit http://gb.ardennes.com.